Baku City Circuit (BCC) is pleased to announce that most recent Formula 1 race held in Baku has been selected as the best race of the 2018 season by some of the world’s most prestigious international media outlets including The Times (London) and The Guardian. As a result of its well-earned reputation as one of the most spectacular races on the calendar and the promise to always ‘expect the unexpected’, the third race weekend on Baku’s streets drew in a cumulative global TV audience of 83 million – making it one of the most viewed races of the year. According to research carried out by F1, 76% of spectators at the race confirmed they had a “very enjoyable” time. This is comfortably above the season average (70%) and gives the Baku circuit the 5th highest score of the season in that regard, close behind the race weekends in the United Kingdom (90%), Austria (85%), Brazil (81%) and Mexico (79%). F1 also reported that the third successive Formula 1 race in Baku also performed strongly in terms of digital viewership, with 4.1 million unique users watching the race online, easily beating the average of 3.3 million unique users on digital platforms for a standard race. Indeed, Baku’s figures were the second highest of the season after the Australian Grand Prix. Furthermore, in the annual public survey carried out by Scandinavian F1 broadcaster, Viasat, the Formula 1 Azerbaijan Grand Prix 2018 made it on to the podium with a third-place finish just behind the U.S. and Chinese Grands Prix. Expectations were high in 2018 for another exciting and unpredictable race through Baku’s high-speed straights and winding, narrow streets during its new late-April setting. After a now-traditional high octane start, the race appeared to be settling into a familiar pattern with Sebastian Vettel seemingly heading for an uneventful victory. However, with 11 laps to go the two Red Bull drivers, Daniel Ricciardo and Max Verstappen collided in controversial circumstances heading into Turn 1 before Haas’s Romain Grosjean inexplicably slammed into a wall while the safety car was out. When the dust settled, it was Valtteri Bottas who led the race, with Vettel dropping back to fourth after an ambitious but unsuccessful move to retake the lead. However, the streets of Baku had one more surprise left when Bottas was forced to abandon certain victory when his car sustained a puncture caused by debris left on the track. Somehow, Lewis Hamilton ended up taking victory ahead of Ferrari’s Kimi Raikkonen and a jubilant Sergio Perez in his Force India – the Mexican’s second podium in three years in Baku. No wonder the world’s media once again hailed the race in Baku as the home of another instant F1 classic. Baku City Circuit’s Head of Marketing and Communications, Nigar Arpardarai, highlighted the ever-increasing international interest in the Baku F1 street race: “It was truly a spectacular race with no shortage of drama and action. We are thrilled that this was also recognised by so many prestigious international media outlets including The Times, The Guardian and Metro, who have once again named our race the best of the season. Ticket sales statistics showed that 94,000 Formula 1 fans attended the Formula 1 Azerbaijan Grand Prix 2018. This figure represented a 31% increase in attendance compared to the 2017 edition on F1’s fastest street circuit. Local sales accounted for 77% of all the tickets sold this year while international fans accounted for about a quarter of all ticket sales, which reflected a 31% increase from the previous year in the number of foreign fans visiting Baku to watch the race. 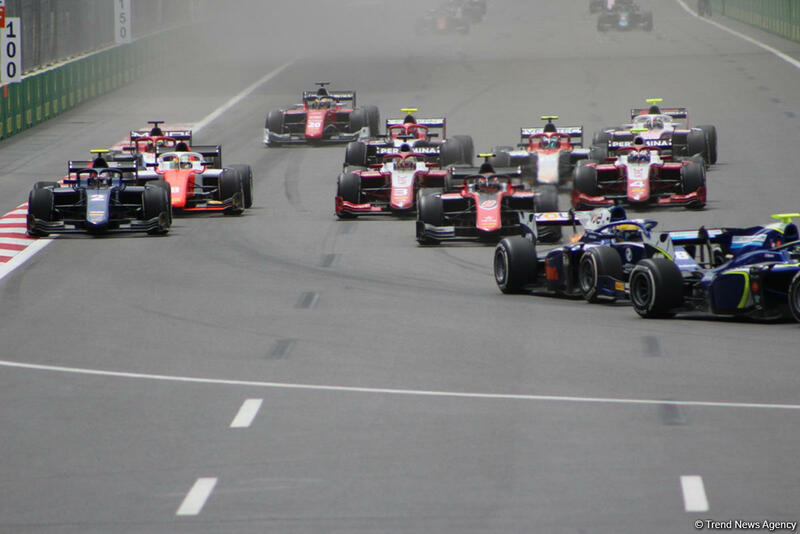 The fourth successive Formula 1 race to be staged on the streets of Azerbaijan’s capital city is taking place on the weekend of April 26th - 28th 2019. There is a limited supply of special ‘early bird’ tickets with discounts of 20% on the cost of all 4-day tickets still available until January 1st, 2019. A separate a discount of 25% will be applied for local ticket purchasers.